All three images below are inferior mirage, i.e. the same effect as 'water reflection' on hot pavement. 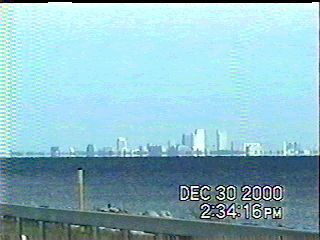 The images were taken with a Sony camcorder in St. Petersburg and Tampa bay area in Florida. The day was sunny, windy and cold. 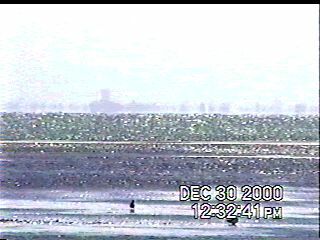 2000/12/31. Distant land "floats" above water. 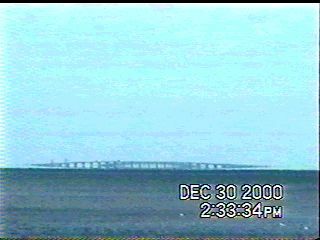 Two bridges (partly overlapping) connecting St. Petersburg and Tampa. Both ends of the bridges were in the air. Note the dotted line above the horizon, running across the skyline of Tampa.